A small city in South Korea called Ilsan could not ring any bell if you if will mention it to non-Koreans. In fact, I never have known about this place if I was not assigned to work at the Northern part of South Korea. Ilsan is actually located in the Northwest part of South Korea in the city of Goyang in the province of Gyeongi-do. It is known for its "Garden City" called "The Lake Park". Like any other small cities in Korea, Ilsan takes pride on their unique and good Korean restaurants. 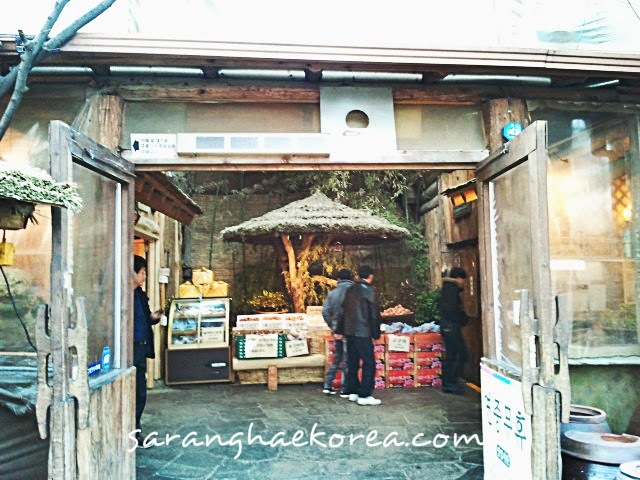 There is this one place in Ilsan where various restaurants offer only one kind of meat in their menu, the DUCK MEAT. Of all the duck restaurants in Ilsan, only one stands out for me and it is called "가나안 덕" or read as GANAAN DOK. It's a duck restaurant that has an ambiance of ancient Korea, hence the feeling of traveling back in time when you enter it. I hesitated to enter the resto at first because this is how the door looks like. It really made of old type of wood. There are also some organic products displayed in the lobby. Let's go back together in time as we further discover what's inside the Ganaan Dok Restaurant. A strong element of wood can be felt in this area of the resto. The heater is made of stone and they use wood to heat it up. If you can see the texture of the woods in the wall, you will know that it might have existed since a long time ago. Also notice the interior design, it looks ancient. 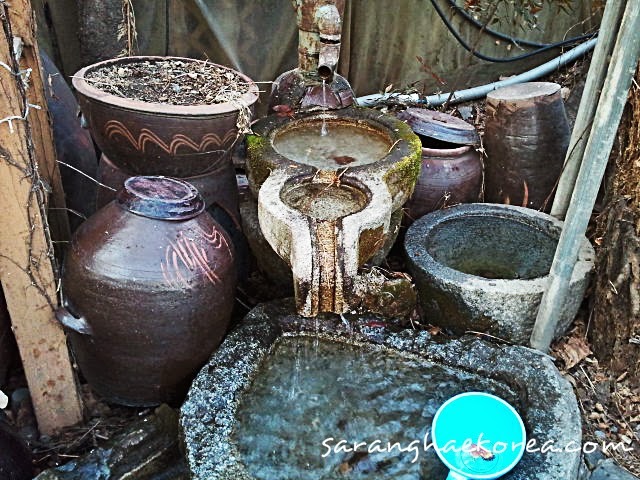 The old way of making Kimchi. 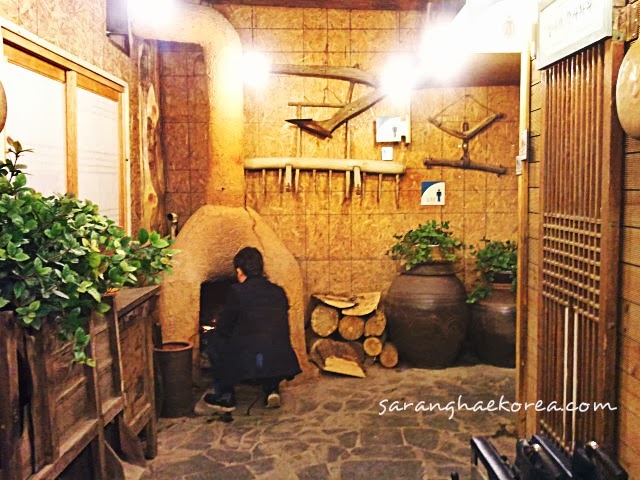 This is the most basic way of fermentation which is very apparent in the Korean cuisine. And look what we've got here. So this is how they fetched water a long long time ago? I'm not so sure, but the never ending flow of the water from this very old device may come from a spring. 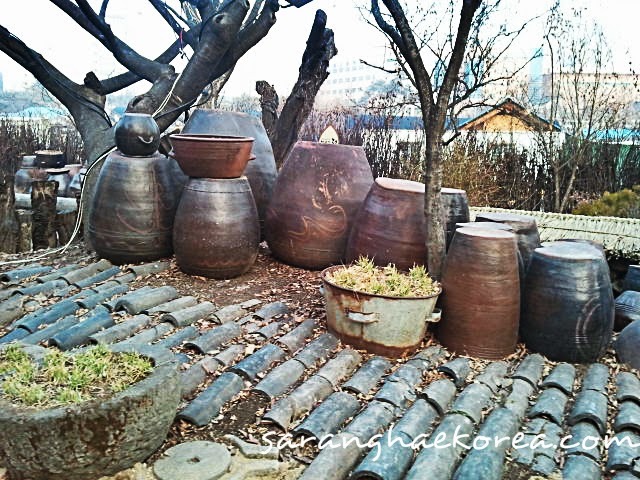 The woods and stones are effective in making impression that this restaurant is already old and must preserve to look like that so that new generation customers can always visit and experience the old Korean style restaurant. And of course we have to eat it in this old wooden table. 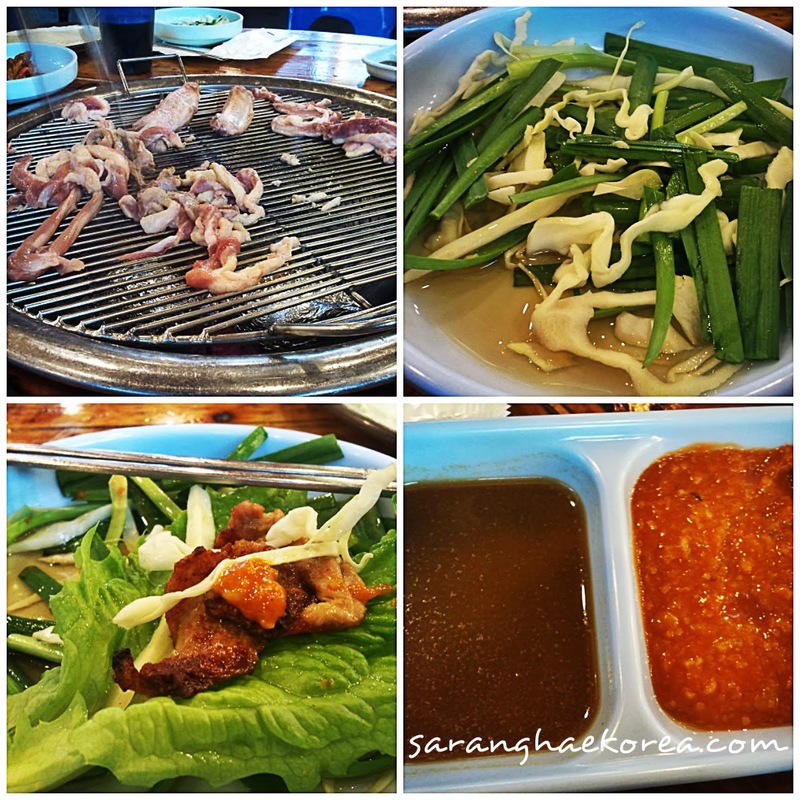 I regret I did not bring my camera when we visited Ganaan Dok Duck Restaurant at Ilsan, I could have shared more because there are really a lot of interesting stuffs about this restaurant. But generally, with the interesting interior design and healthy food, I would rate it 7/10. I love eating duck so I will certainly visit this restaurant when I am in the area. I love all about Korean - especially their food - Kimchi oh wow ! I cant imagine what will I feel if I get that chance to visit the place someday. what about it made you rate a 7 out 10? I am just curious.. The wooden structures and the old section intrigued me, but I like the place. Maintaining a restaurant with that rustic appeal is quite hard. Food looks great, too. I commend the owner for such offerings. Duck is a really tasty treat and the place also has a nice ambiance. That door would probably be my reason to explore that restaurant further but I would opt for something else aside from the duck. Wow! How amazing Korea is? The furniture of this place is really amazing. Love the mix of traditional and modern vibe of this place. I love how they designed the place! Traditional yet cozy. I was once in a korean restaurant along Jupiter street (near Makati Ave) before and it didn't impressed me, and the food is just satisfactory. I wish I could dine at this restaurant someday :) It looks like a nice place for travelers! Yeah Korea is a nice place to see and enjoying food especially Korean food.I like your capturing,its really nice and very clear to see the Korean people to meal in the Restaurant.I like your blog because nice work done on it and its a nice place to visit and i also want do a meal in this restaurant. Thanks for the sharing.I love it. Korea is one of the best place for the visitor that they all come and see the natural beauty in Korea specially food in Korea is very famous in Asia many hotels are very reliable not too much expensive..